Our elementary schools have a rich history beginning in 1881 when Father Bart Lenehan established the first Catholic School in Sioux City at Seventh and Perry streets. It was run by five Sisters of Charity B.V.M. Seven more schools were established in the following decades to equal eight parish schools. Those schools united and consolidated with Bishop Heelan High School in 1998 to form a system — Catholic Schools of Sioux City. In 2006, the system officially changed its name to Bishop Heelan Catholic Schools. Since then three preschools and a transitional kindergarten class have been added to our elementary school, expanding our system and offering additional educational support for our parents. The Bishop Heelan Catholic Schools system is named after Bishop Edmond Heelan, a charming and dynamic native of Ireland who became an education leader in Sioux City and the Diocese. He was born in County Limerick, Ireland in 1868 and attended college in Dublin. Following his ordination to the priesthood in Ireland, he came to the United States, serving churches in Dubuque and Fort Dodge, Iowa. After being named a Bishop of Sioux City in 1919, Bishop Heelan served for nearly 30 years. During his tenure, he guided the Diocese of Sioux City through the Great Depression and World War II, and greatly expanded Catholic education. He envisioned the first inter-parochial school in the Diocese and initiated a successful pledge drive for a new Catholic High School in Sioux City. 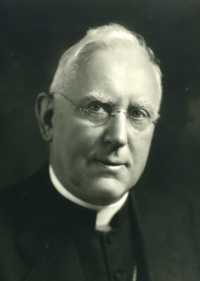 In 1948, Bishop Heelan died at age 80. 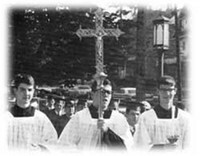 A month later, ground was broken for Catholic High at the corner of 11th and Douglas Streets. At its dedication, Bishop Mueller renamed the school Heelan High School in recognition of the leadership and foresight of Bishop Heelan. Today, Bishop Heelan High is part of a thriving PK-12 system now known as Bishop Heelan Catholic Schools.